Time had run by quickly, and it was almost 13.00. 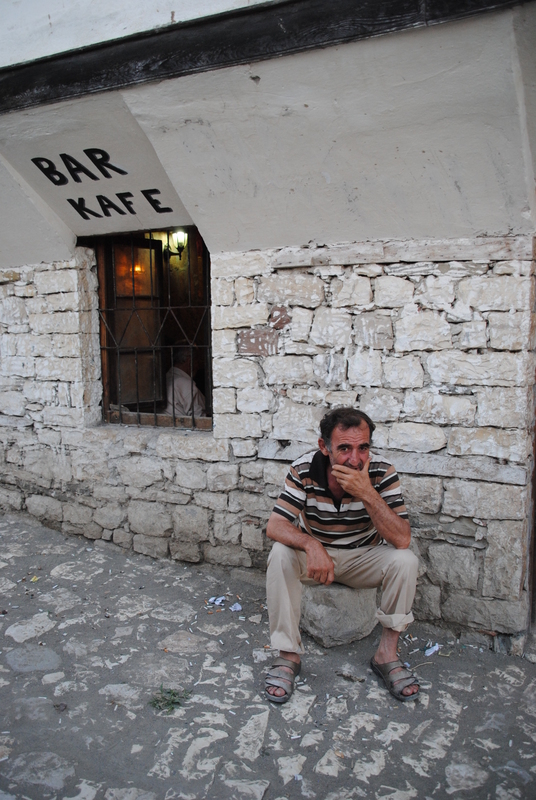 To make it easy, we found a taxi and asked him to drive us to where the busses for Barat left from. There are two kinds of busses, the regular ones, and the mini busses, and both run quite frequently. We ended up on one of the regular ones, and soon started what would be the hottest three hours in my life so far. The air-condition was not working, and as it was in the middle of the day, the sun was heating the bus as well. It felt like being in a small greenhouse. There were times where we were not sure if we were conscious or not, a very unpleasant feeling. So lesson number two: If you can avoid it, NEVER take the bus in the middle of the day. But when we finally arrived, it was (almost) worth it. 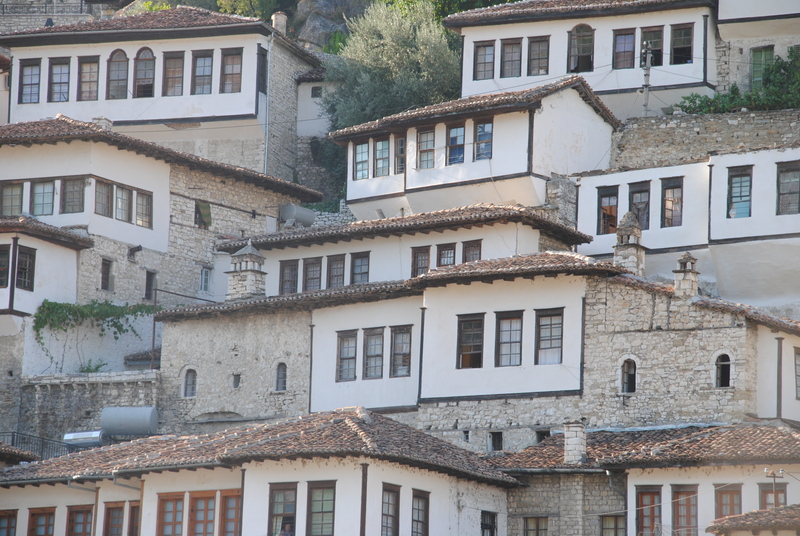 Berat is a really beautiful little town with small stone houses built up along the hillside. 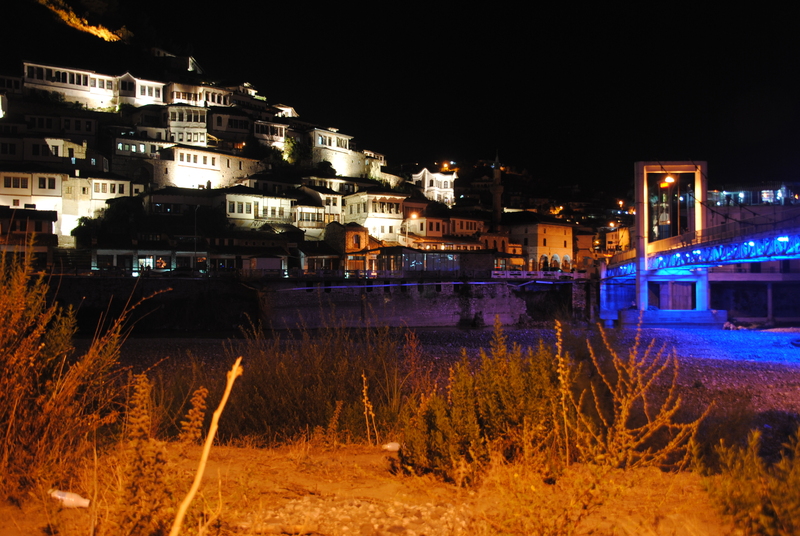 The city is one of the oldest in Albania, and is also on the UNESCO World Heritage List. We had been recommended to stay at Hotel Muzaka, a brand new hotel that had opened only a few weeks before. 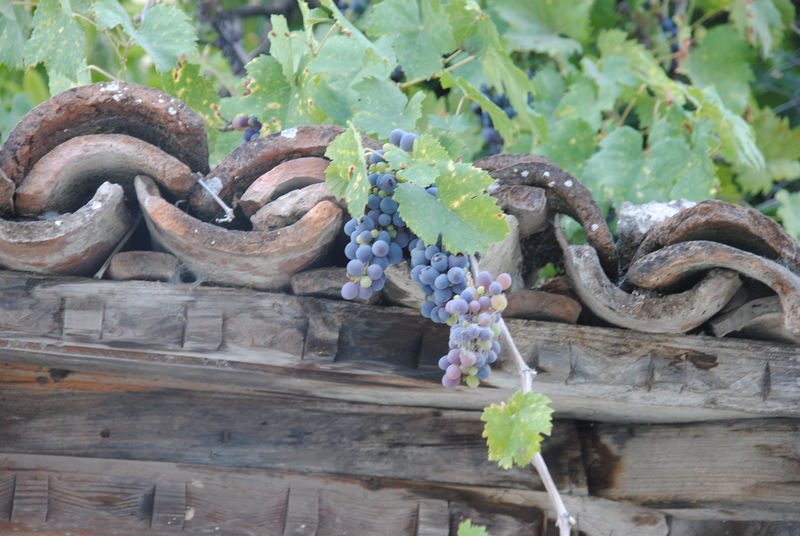 The rooms were very nice, and most important for us at that time – air-conditioned! As there were no wind that day, we decided to stay in the room for a while, waiting for the sun to be less burning. When we got out a bit later, we decided to explore the old town on top of the hill. Along the way we met several locals, all of them smiling and being very kind. 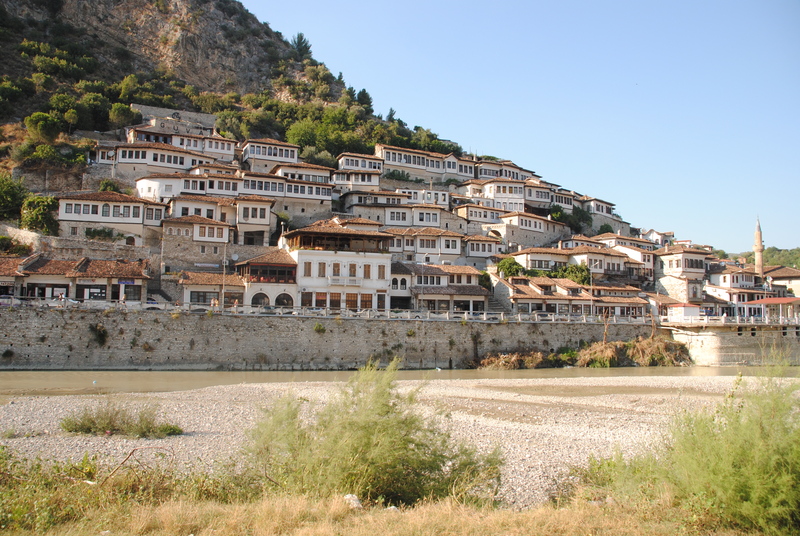 Berat is one of the oldest cities in Albania, dating back to the Bronze Age. And the best thing; The houses within the castle walls are still inhabited. Walking around up in the old town, we met even more bridal parties, obviously it was a popular place for the wedding photos. For dinner we found a very nice small restaurant, and enjoyed a great meal with traditional Albanian dishes. Fantastic! Pingback: My travel bucket list | Life is a journey! Pingback: Daytrip from Brasov to Bran Castle and Rasnov | Life is a journey!